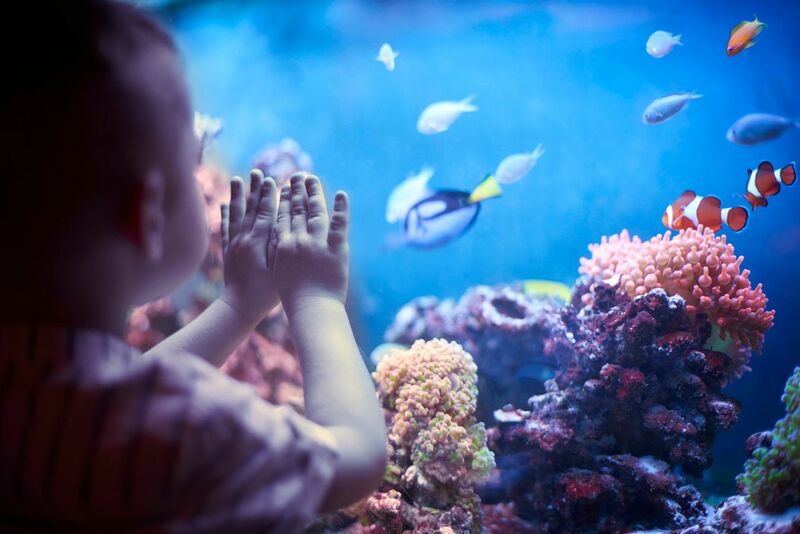 A love for water, and the underwater world, can start at a very early age. Here are some of our favorite family fun ways to foster this enthusiasm. Turn bath time into an underwater adventure with a mask, snorkel, and sinkable "treasures" or swimming "fish." This will also help with later Snorkeling and Scuba comfort, as this equipment will already be familiar to them. These adventures are fun for kids of all ages, including parents, so it's no surprise that these are on our list. We are a family of Scuba Instructors who love, love, love the water. So, join us during our events and activities throughout the year or bring the family along on one our local or exotic trips. SAFETY FIRST: Always monitor your child's activities. Snorkeling - Snorkeling is a great way to begin your underwater adventures. It's your chance to start exploring a new and fascinating world. At this age, we take a calm approach to learning by offering only Private or Semi-Private Instruction. An Equipment Fitting Session is highly recommended. Scuba Rangers - Action Sports & Travel's Scuba Rangers program is the perfect way to introduce your child to the wonders of diving in a safe, fun, encouraging way. Children learn about water safety, dive planning, goal setting and achieving, and Snorkeling and Scuba skills. They begin their Scuba adventures in a pool, but may also be able to enjoy local and exotic diving opportunities. No exams. No open water evaluation dives. No pressure. 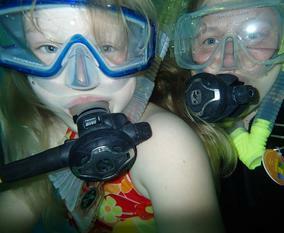 Junior Try Scuba - This is your introduction to the underwater world. Check out the links below for more details. Junior Open Water Diver - View 12+ years old tab for more information. Junior Scuba Diver - Scuba dive in open water environments under the supervision of a Dive Professional. This program provides you with the training and experience required to Scuba dive in open water environments under the supervision of a Dive Professional. It is a perfect program for families who do not have the time to complete the Open Water Diver program. You will earn the Junior Scuba Diver certification, which can be upgraded to the Junior Open Water Diver certification with additional training. Junior Open Water Diver - This globally-recognized certification program is the best way to begin your life-long adventure as a certified Scuba diver. Personalized training is combined with in-water practice sessions to ensure you have the skills and experience required to become truly comfortable underwater. Please note: Some Specialty programs may not be available to this age group, including Stress & Rescue Diver and Deep Diver. Junior Specialties - Click here to see the Continuing Education programs available to you. A kid at heart, huh?! No problem. We completely understand. Stay here as long as you'd like, and when you're ready, check out our links below or give some of our other pages a chance ... they're meant just for you.